Huh. This is really neat. I dig the DIY arms. I played around with this but with an air pump so the arm would be frictionless. Instead of using ball bearings for the arm assembly to ride on, air is pumped into the cylinder that has hundreds of tiny holes. The arm is attached to a sleeve that slides over the tube, the air pressure providing enough power for the arm assembly to float on the slide cylinder. Rev's idea sounds more like an air hockey table than a turntable. been ruminating on that glass rod tone arm for a day now.... more to go... a mystery how the stylus being the only contact point moves the whole assembly / mass.... without any type of anti skate compensation... seems like a lot of pressure on the stylus from the outside of the grooves... and even though it may be frictionless (not) it is still mass.... which has to be moved on a continuous basis ... runinating .... lol and yet it sounds "good" per the article. The way it's designed unless something is going on that I don't see it's not anti-skating it needs but the opposite. There will be tremendous side force on the outside surface of the stylus. This will certainly accelerate the wear on the outside of the stylus and even more so on the outside grooves of the record. 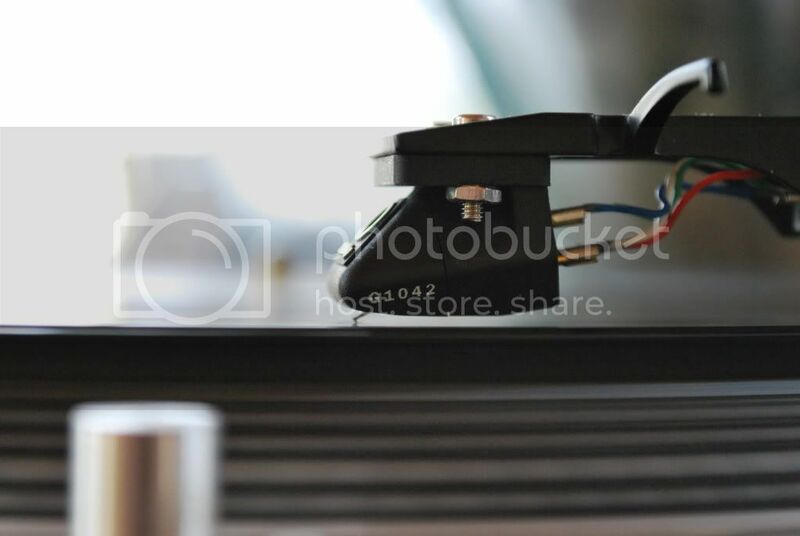 Anti-skate compensates for the natural inward forces applied to a conventional swivel tonearm that would cause wear to the inner surface of the stylus and inner grooves of the record. This inner force becomes more pronounced toward the center of the record. Thus people frequently complain about inner track distortion with swivel type tonearms. I did experience some of this distortion, though minor, with my Thorens TD-160 but none with my linear tracking ReVox tt. Actually I don't see how this tonearm would work at all. much better said than I could... it's what I meant, just not what I typed lol The ClearAudio Performance SEP table I have floats the tonearm in a magnetic field, and compensates with a bit more VTF and anti skate towards the center of the record. .. and it actually works. lol But it makes it much more than interesting setting the VTF lol because it also increases VTF when moved upward meaning that the trusty old Shure scale is too high/ tall ... as are most low cost digital scales.... the game is to get the scale mesurement surface the same height as the stylus when in than album groove.